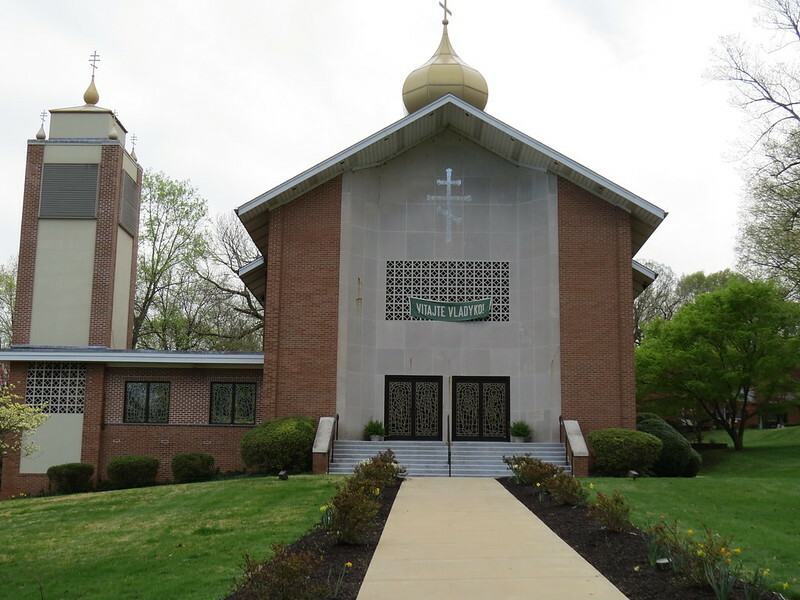 Holy Ghost Orthodox Church was founded when hundreds of faithful, thoroughly committed to the Lord and sincerely devoted to the time-honored traditions of Eastern Christianity, liberated themselves from the yoke of Latinization and discovered the eternal truth of Holy Orthodoxy. Having lost their house of worship by the ruling of a civil court of law, the members of this new, self-converted Family in Christ established Holy Ghost Church on August 7, 1937. Their first Divine Liturgy was celebrated to God's glory in the grassy field of Mont Clare, PA by their pastor, Fr. Alexander Kossey. Those founders were living proof that the Church is not the building, but the people; not the brick and mortar, but the Faith and Tradition; not the stained glass and gold leaf, but the sacraments and service to God. As the winter of 1937 approached, the homeless parish was "adopted" by the good people of St. Peter's Episcopal Church in Phoenixville, PA. Filled with compassion and understanding of this congregation's plight, these Christian neighbors opened their hearts and their St. Margaret's Chapel for the celebration of Sunday services, baptisms, weddings and funerals. Nonetheless, the faithful of Holy Ghost wanted a church of their own. It was with the direction of Fr. Michael Hoynak and the phenomenal generosity of countless individuals that the present properties of the 22-acre Phoenix Park were purchased from the Reeves Family, owners of Phoenix Steel. On that spacious expanse was a long-time uninhabited mansion that was to serve as the church, as well as a banquet and dance hall, Sunday School classrooms and a residence for the pastor. It took much hard work to make the transformation-work both on the building itself and in using it for dinners, picnics, dances and other fund-raising efforts. Over the years, the down payment for a new church was raised through the incredible efforts of the dedicated members of the parish. Through the extraordinary vision of Fr. Stephen Shutack, pastor from 1951 until 1975 and the leadership of the parish council under the presidency of Joseph F. Rudick, the construction of the new edifice was brought to realization. Ground was broken, and His Excellency, Auxiliary Bishop Methodius blessed the church cornerstone. The long-awaited goal of the founding fathers came to fruition on November 28, 1965. On that Sunday, His Eminence, Metropolitan Orestes, first Bishop of the American Carpatho Russian Orthodox Diocese, consecrated the new magnificent house of worship, patterned after Christ the Savior Cathedral in Johnstown. During the pastorates of Fr. Andrew Hutnyan (1975-1976) and Fr. John Baranik (1976-1985), movement and efforts toward the building of a new rectory were undertaken. The spacious and beautiful parish home was dedicated on November 12, 1978 by His Excellency, Bishop John. The congregation transformed the social center into a facility for catering weddings, anniversaries and other receptions, under the leadership of Leonard Mauger. The parish mortgage was burned in 1987, in conjunction with the 50th Anniversary of the parish. The Golden Jubilee celebration took place on November 4th of that year, with His Grace, Bishop Nicholas presiding at the festivities. Under the guidance of Fr. Michael Dahulich (1985-2001), new icons and murals were written and a new chandelier was installed in the church interior; the house of worship was air-conditioned; new stained-glass doors were added; the church basement was transformed into Sunday School classrooms; and an outdoor shrine was constructed on the site of mansion that had served as the original church. During the pastorate of Fr. John Fedornock (2001-present), the newly constructed shrine was blessed and a new cupola (dome) was installed on the Church in 2002. In 2004, the parish undertook a major renovation project, refurbishing the old mansion's caretaker's cottage located near the site of the outdoor shrine. This project was completed in 2005. In 1982, the parish hosted the XIII Diocesan Council-Sobor. The parish has also hosted four National ACRY events: the 1962 Convention, the 1991 Convention, the 1997 Bowling Tournament and the 2003 Bowling Tournament. Five sons of the parish have been ordained to the service of the Holy Church: Fr. Deacon Peter Skoog (1989), Fr. Peter Zarynow (1992), Fr. Michael Chendorain (2002) and Fr. Frederick Watson (2008), Fr. Deacon Richard Phifer (2011). Today, Holy Ghost Church continues to thrive. Its congregation of over 160 families is trans-national, attracting members from all branches of Orthodoxy and through conversion to the Holy Orthodox Faith. Come worship with us at Sunday Liturgy. We actively seek to share our faith with others. We welcome you to our parish web site and hope you enjoy your on-line visit. We cordially invite you to personally visit our parish when you are in the Phoenixville, Pennsylvania area.